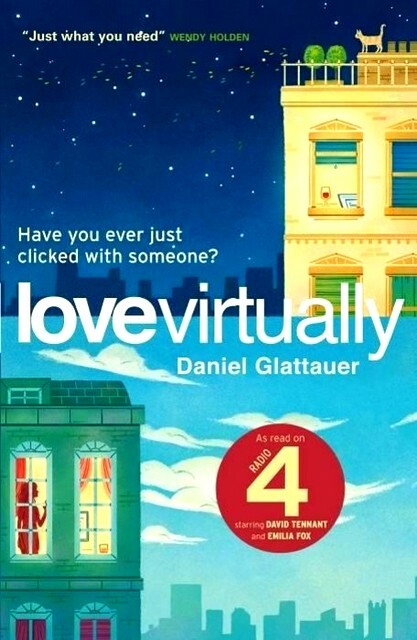 Love Virtually was a random book that I picked. Actually, there was that bookstore offer where I could get 3 books for the price of 2. This was the 3rd equally priced book that made it to the cash counter. I came home and picked it to read as it seemed less daunting than the rest. I could not put it down. I read it over the next 24 hours with breaks to do jobs that otherwise I am required to do. The story line was simple. A misspelled email address causes two people to accidentally meet in the virtual world. The exchange of emails between these two protagonists is what this whole book was about. WORDS are the third character in this novel. To be able to carry of a book merely on an email format requires a whole lot of imagination. It was a given then that the sequel would be eagerly awaited. I finally got the book yesterday. Every Seventh Wave picks off where the earlier one left me. Leo Leike and Emmi Rothner had fallen in love and broken up via e-mail. Now she was back with her husband and step children while he was engaged to his American girlfriend. And yet, after all this while, the irresistible urge of having a mail in the inbox resurfaces. They are destined to be friends? Or maybe not. Maybe their life was meant to head in another direction and each of them were just the catalyst. The sequel tries to catch that elusive seventh sea wave that can crash the shores and change the landscape. Whatever it is, you will need to read the book to find out more. What I can tell you though is that this was not a sappy love story. It did not border on overt sexual tones either. In fact the passion appealed to the senses, humour and intellect. It was a smart exchange between a man and a woman. It showed you what a woman wants and what a man needs. They did nothing that people in love do. And yet when they did, it was not the center of the universe. Words and only words were all that take your breath away. And yes, the absence of sms lingo and smileys make for delightful read. You laugh, you smile, you smirk, you grin, and you enjoy the banter, almost willing for it to happen. You forgive the protagonists for being unfaithful, even if it is virtually. 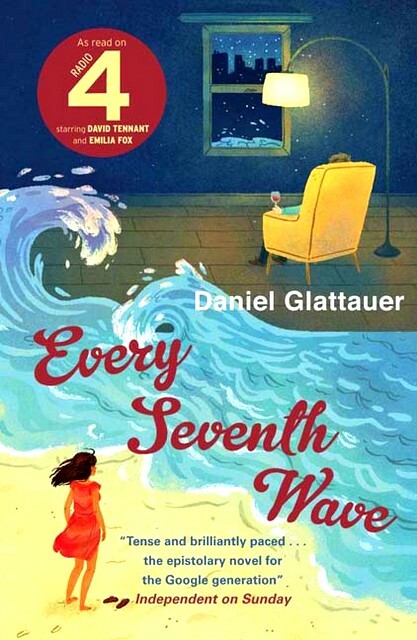 Daniel Glattauer has a firm grip on both voices. That he is able to wrap their world in the inbox is commendable. And to think that the book has been translated from German. I doff my hat to the husband and wife duo, Jamie Bulloch and Katharina Bielenberg for being able to retain the essence of the story and the feel of the characters. Largely, translations tend to lose grip when they are transcreated. And more so, sequels don’t live up to their predecessor. They suffer from a disadvantage that you know the setting and the characters, roughly. The change in situation can happen to take you on a graph of high and low, yet, does the story move forward? Daniel very expertly gives the reader what they want and then goes on to make it nonchalant. Leo and Emmi meet and yet, the mails are still where you see the relationship change. That is the beauty of the story. If you haven’t read the first, don’t read this yet. Pick Love Virtually and then read Every Seventh Wave, you won’t be disappointed, I promise. At the heart of it, if an affair is what sparks an interaction such as this, I am willing to have one. Leo Leike, where are you? Do that A. Jacinta or order online. You won’t regret it, I promise. Sounds very interesting with a modern approach! I will try to get hold of it. Do that Chatty. It was a breeze. Looks like an interesting read .. what intrigues me is that the book is based on exchanged mails – as you say, this would require a whole lot of imagination ! And he sustains the interest across 2 books. It is amazing. I remember picking up Love, Virtually simply on your recommendation in our group discussion 🙂 And, I had loved it! Needless to say, I will definitely pick this one up too 🙂 Adding it to my list! Do that. It is just such a wonderful extension of where he left us earlier.